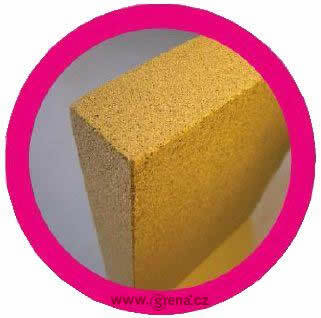 Grenamat AL is a non-combustible board made from expanded vermiculite and inorganic binders. It contains no mineral or glass fibres or asbestos. 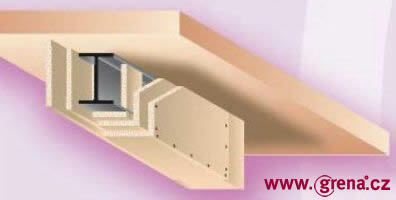 It is both ecological and resistant to temperatures up to 1200 °C. 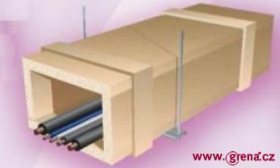 The boards feature good acoustic and thermal insulation properties. Another advantage of the vermiculite boards is that they are easy to work using the normal wood-working tools. Various surface finishes can also be applied to the surface easily. 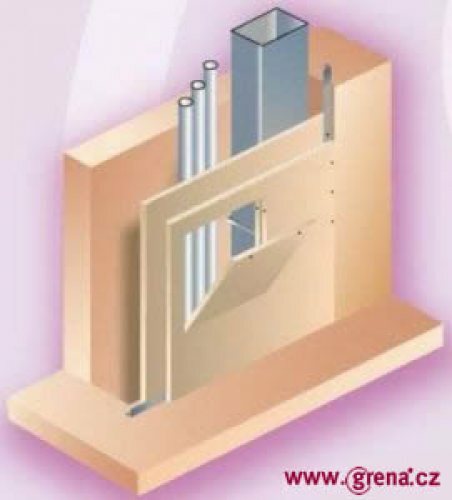 For special constructions: internal filling of steel fire-resistant stopping, internal filling of the safe and vault walls. 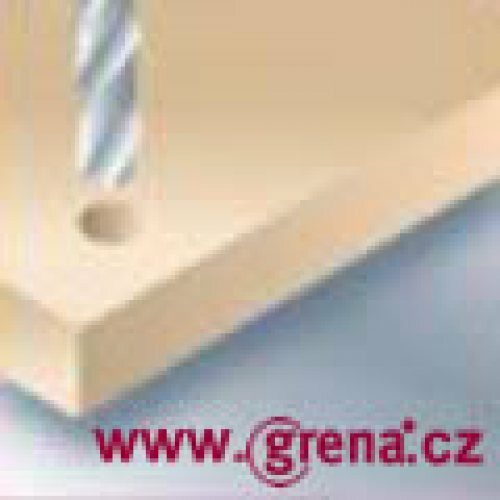 Grenamat AL boards are tested with finishes made of CPL or natural veneer. 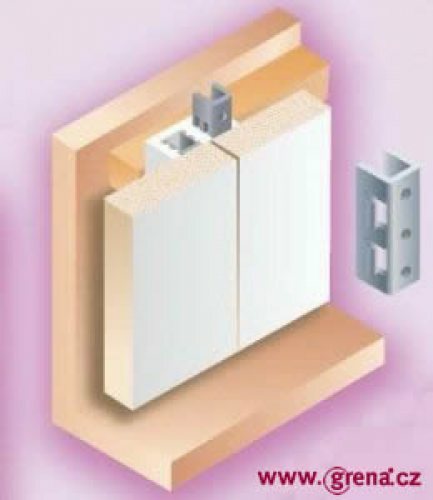 For more information contact our sales representatives for fire-resistant and non-combustible Grenamat boards. High pressure laminate, delivered on boards of standard sizes, surface finish in recommended thickness up to 0,8 mm and calorific value 15 MJ. This condition enables the application of Grenamat boards even in protected escape routes. HPL is a wide variety of decors: wood decor, uni-colours, special designs such as photographs etc. Boards must be provided with finish on both sides (countermove). Very durable and hard surface, easy maintenance. Application in exposed areas. HPL can also be used for floating floors and kitchen plates. 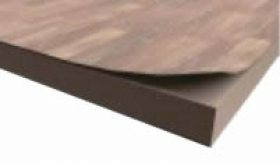 Laminate manufactured in rolls; its advantage is lower price and the possibility to apply finish on boards of various lengths and widths; surface finish up to 0,2 mm and calorific value 4 MJ; wide variety of decors: wood decor, uni-colours, special designs such as photographs etc. 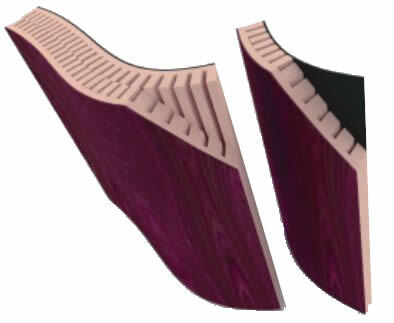 Boards must be provided with finish on both sides (countermove). Very durable and hard surface, easy maintenance. Application in exposed areas. Class of reaction to fire A2-s1,d0, if combined with Grenamat AL. 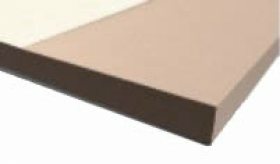 Suitable for application in areas with emphasis on quality and natural materials; boards are provided with finish on both sides; to avoid countermove, paper or C quality veneer can be used. Very demanding but exclusive surface; must be sanded and varnished after formatting. Nevertheless class reaction to fire A2-s1,d0, if combined with Grenamat AL. 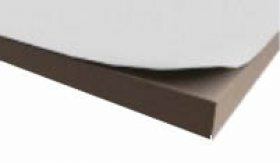 Suitable for application in areas with emphasis on quality and natural materials; boards are provided with finish on both sides; to avoid countermove, HPL can be used. After finishing no additional treatment necessary; ready-for-use surface. Durable and hard surface, easy maintenance. Application in vulnerable spaces. Provides smooth finish; also replaces base paint layer (primer-coat). This finish together with a non-flammable Grenamat AL board is classified as class to fire A2-s1,d0. To maintain this class of flammability, only water-souluble paints must be applied. On Grenamat boards, decorative paints can be applied; considering fire regulations we recommend water-soluble acrylic paints. 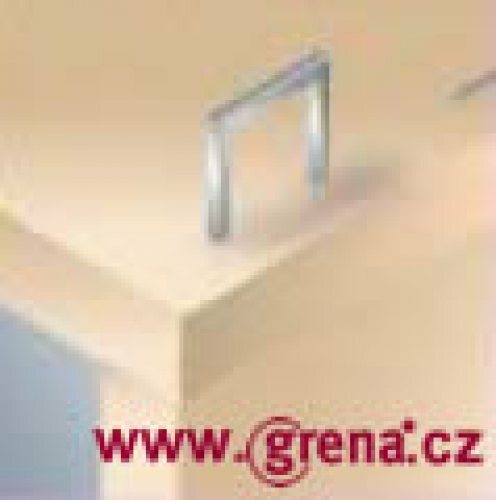 As for Grenamat AL boards, paints can be applied directly, even without penetration. 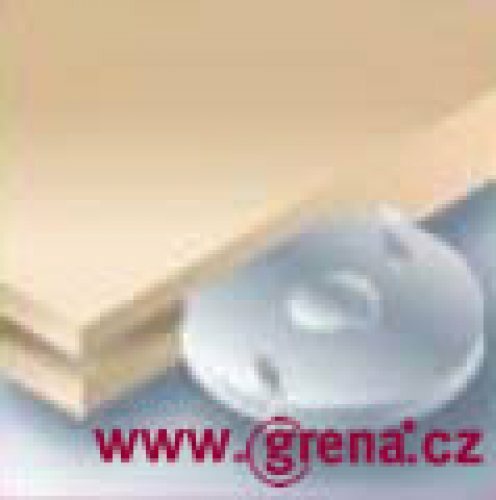 In case of Grenamat B we recommend to use background paper under the paint in order to improve the surface quality. Thereafter calcium-acrylic paints can be applied. 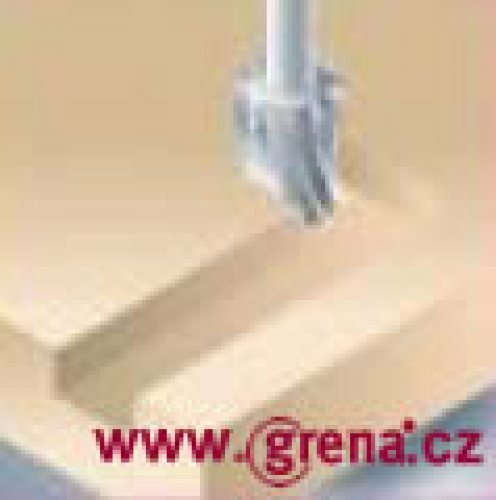 Thin plaster can be applied directly in the Grenamat boards using a palette-knife or roller depending on type of plaster. In order to improve the quality of joints apply gauze under the plaster, drag it with a supporting basic plater or adhesive and then apply thin plaster. In the end, you can also apply paint. This colour is suitable if the design of plaster walls or ceilings is required. 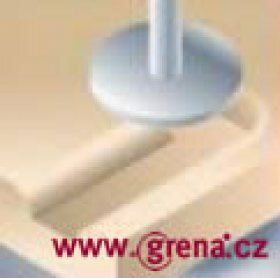 Grenamat boards can be easily machined using conventional woodworking tools. 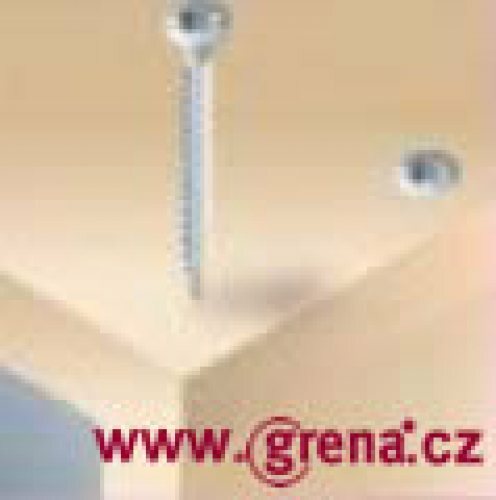 We recommend tools made of hard metals or with sheets of cemented carbides. Use ventilation equipment during the work. 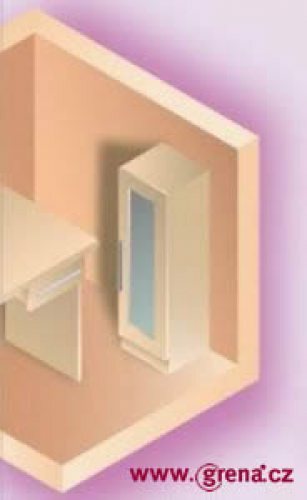 Dust arising during cutting does not contain any harmful substances and is incombustible. 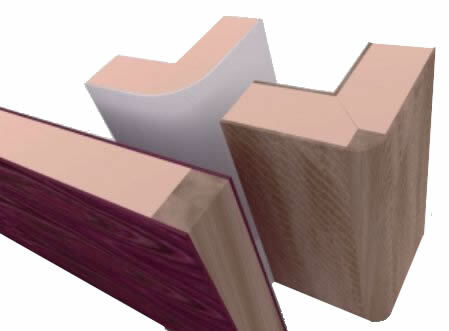 Grenamat boards can be provided with edges (HPL, ABS, solid wood), postformed etc. 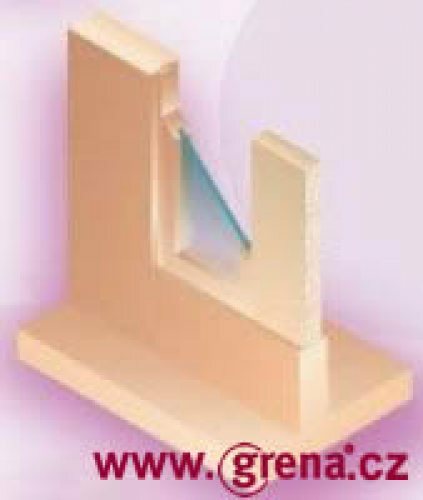 The method of execution is similar to standard chipboards. There are only a few ways how to bend a Grenamat board. 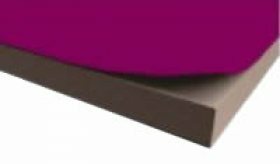 After the finish is bent on one side (HPL, CPL, veneer, paper), the board can be moistened, bent using a template and reformed to the required shape. However, this is difficult, therefore, we recommend to groove (saw) the board - after 1 layer is applied. Use a 4 mm saw with about 10 mm pitch, and then bend it to the desired radius using a template. Thereafter glue the backing layer or a board milled the same way, clamp the secretions together, strip them together and let the glue dry. 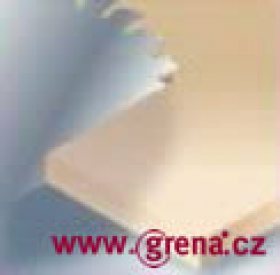 Grenamat boards are packed in stretch foil on a palette, covered with protective chipboard. Corners are protected by hard cardboard , joined together with tape so that they cannot move, and marked. This way the boards are sufficiently protected from damage and humidity. For further transportation, boards can be packed in hard wooden boxes resistant to rough handling. Boards must be stored in a dry indoor space with maximum air humidity 80%. Grenamat boards packed on a pallet should be handled in horizontal position. They must be secured against displacement using underlay to prevent bending. In order to avoid the risk of break, we recommend transferring boards in upright position. Grenamat boards can be treated using ordinary cleaners and can be lightly moistened. Never use water for cleaning as the boards are slightly absorbent. 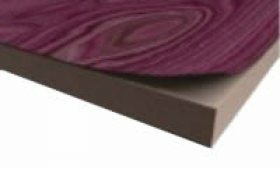 Boards with surface finish can be treated as recommended by the finish (CPL, HPL, veneer, paper) supplier.